Win a family holiday with Nestlé! Nestlé Cereals – the name behind some of your favourite breakfast cereals like SHREDDIES and CHEERIOS – have teamed up with Eurocamp to give you and your family the chance to experience a fabulous European self-catering holiday. We’ve got 1 AMAZING family holiday to give away – all you have to do to enter and win is answer a question on our Facebook page…. Staying in a modern holiday home, you can enjoy the best of Europe during your 7-night holiday. Whether you fancy a beach retreat in the French Rivera, lakeside luxury at Lake Garda, an action-packed adventure in the heart of the Dordogne, or a relaxing countryside break away from the hustle and bustle of Barcelona, it’s all at your fingertips with Eurocamp! With over 180 quality parcs to choose from, you’ll be spoilt for choice. And to make sure your holiday gets off to a great start, why not start the day by sitting down with your family to eat breakfast? Nestlé Cereals are a great choice; each bowl is made with whole grain* and is a source of at least five vitamins and minerals** at a cost of just 24p a bowl*** including the price of milk. Just look out for the green banner for the peace of mind that you’re giving the whole family a great start to the day. To win a family holiday, all you have to do to enter and win is answer a question on our Facebook page…. The winner will be announced on the Woman’s Own Facebook page on Monday 23rd February at 4pm. The Eurocamp holiday prizes are up to the value of £1,400 each for up to 2 adults and up to 4 children (or 4 adults), to a European parc of your choice in the Eurocamp brochure/website (subject to availability), comprising 7 nights staying in mobile home or tent accommodation (excludes Apartment Resorts), includes ferry crossing from Dover to Calais for one car and passengers. Travel insurance and car breakdown insurance can be included at a supplement. 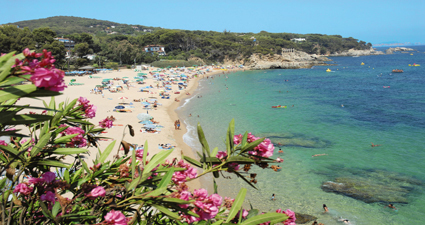 Alternatively you may take an accommodation only holiday and pay for your own flights and car hire/airport transfers. If choosing the self-drive option you will be required to drive to the ferry port and on to your destination in Europe. Groups may not be permitted on certain parcs. All holidays must be booked by 31/03/15 and taken by 31/10/15. Holiday prizes are subject to the Tour Operator’s terms and conditions. Passports and visas are the responsibility of the prize winner. Prizes are not transferable and cannot be sold. Prizes are as stated. No cash alternative will be offered. The Promoter reserves the right to substitute the prize, should the product become unavailable for any reason, with an alternative of equal value). 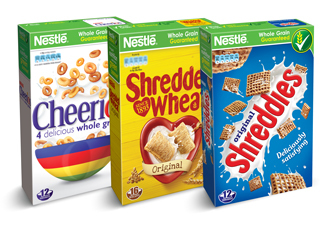 ** All fortified Nestlé Cereals – excludes Nestlé Shredded Wheat & Oat Cheerios. *** Based on average price of all Nestlé branded cereal not on promotion in IRI total grocery outlets for the 12 week period ending 16th August 2014. Prices taken from IRI. Cost calculated using recommended servings per pack and 125ml of milk, based on average price for 4 pint semi-skimmed milk from major multiples – pricing correct 04.09.2014. Prices are at the sole discretion of the retailer.